Speaking after the release of BP’s fourth-quarter earnings, upstream chief Bernard Looney also said BP had seen no signs of cost inflation in the global LNG sector despite a number of new project approvals in recent months. BP and its partners took the final investment decision for the Greater Tortue Ahmeyim floating LNG project in late December 2018. It is designed in its first phase to export 2.5 million mt/year of LNG from an offshore area straddling the border between Mauritania and Senegal in West Africa before expanding to10 million mt/year in later phases. « The real excitement comes in the next phases as we build the system out, » Looney said. « We will have pre-invested in the original infrastructure, so the subsequent phases will be extremely economic, » he said. Looney added that there was even more potential for addition gas finds in the region, with estimates of some 50-100 Tcf (1.4-2.8 Tcm) of gas in place across the region. The Greater Tortue Ahmeyim project is based on an estimated 15 Tcf of offshore gas and is expected to produce its first gas in 2022. There was, Looney said, potential to create a « major new LNG hub » in the region. Looney said that there had been no evidence that LNG project costs were on the increase as activity in the sector picks up after several years of few project approvals. « There is no sign of cost inflation in either capex or opex, » he said. « We continue to push for costs to come down and we’ve had some very competitive responses to tenders for phase one at Tortue, » he said. BP also continues to drive more collaboration with its suppliers « so we can collectively lower the cost base of the industry to remain in a competitive environment, » he said. « We are a firm believer that we will continue to drive further capital productivity in the business, » Looney said. New FIDs in the global LNG supply industry have been few and far between in recent years due to relatively low LNG prices and a slew of new projects starting up, but more investment decisions are expected as the LNG market looks likely to tighten starting early 2020s. BP is developing the project with US-based Kosmos Energy and local state energy companies Petrosen (Senegal) and SMHPM (Mauritania). BP Gas Marketing has been selected as the sole buyer for the investor partners’ LNG offtake for the first phase. 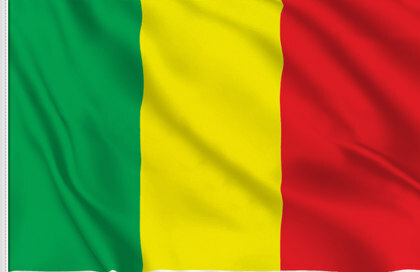 The project, which BP said was the first major gas project to reach FID in the Mauritania/Senegal offshore basin, is expected to provide LNG for global exports as well as making gas available for domestic use in both countries. It adds to the existing LNG facilities in West Africa that include the six-train Nigeria LNG, Angola LNG and Equatorial Guinea LNG facilities.